The name translated to English means 'Black Spices'. The fragrance is a woody-oriental composition with notes of geranium, clove and patchouli. There are 79 reviews of Noir Epices. If you asked an AI program or a 3D printer to make a copy of Mitsouko, this is what you might end up with: a sharply-spiced, plastic, fruit bowl of a fragrance spooned up with a large metal utensil. 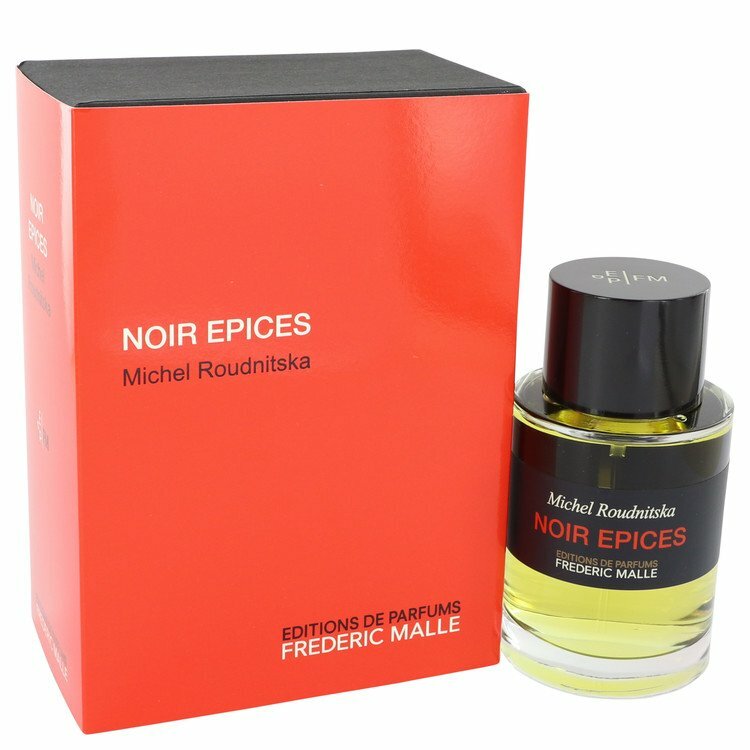 I have fallen in love with a couple of Malle Fragrances, much to my wallet's chagrin, but Noir Epices is not one of them. I mainly detect nothing but very fresh, tart orange peel or rind just as if I had begun to peel a fresh orange. This citrus note dominates the entire composition for me from top to bottom. I like orange, but I prefer it a bit sweeter than this, and I prefer it not be the dominant note throughout. This is too much tart orange rind for me. Perhaps if the spice notes were warmer and more pronounced, I would like this fragrance more, but they are barely there at all. There is not much more I can say about this fragrance. Projection, sillage, and longevity are average. It is as unisex as is orange juice. This might be a good fragrance to wear to the club for brunch and perhaps a bit of tennis later in the afternoon, but one could achieve much the same result simply by stuffing some fresh orange rind into one's cleavage. This fell out of Louis XIV powder case. A real let down especially after the superb French Lover. I first tried this on a trip to Paris before I knew anything about Frederic Malle the brand - it was probably 2005. I sprayed NE on, walked out and kept wandering about Paris, and with it the scent on my wrist. I forgot where the store was (this was before their expansion) and forgot the name. A few years later, I tried it again, on another trip for work to London, but didn't buy because it was too expensive, I had already spent too much money and for some reason the damp London weather didn't do it any favors on me. Flash forward to last winter when a FM store opened near my office, Estee Lauder bought the company, and I got my employee discount. The stars aligned and I bought a bottle. Hurray. I love it on cool/cold days. Its warm, smoky, citrus-y and spicy all at once. I usually spray on a t-shirt (I'm wearing it now, sprayed on about 12 hours ago and almost no change - just more mellow). While everyone is gaga about Portrait of a Lady (very mis-named if you ask me, because it is great on guys) and Carnal Flower, I feel Noir Epices is the most unique in the family. Its not my favorite - I don't think I could wear it often - That's Bigarade Concentree for me. But It is kind of my secret weapon. Definitely one for everyone to try once. I'll admit the opening is synthetic, but quite pleasant. In fact it almost has certain "mystique" in it, bear an unlikelyt resemblance to the opening of Ile Pourpre. I've also noticed certain soft aldehyde facet, not prominent, just in supporting role. Then it just transitioned to the spice heart. I usually detected a rather "savory" or "flesh-like" aspect in warm spices, still yet to identify what it is. It also has a dry smoky note in it. if the smoke and flesh reach a balance, it will be a.......fantastic bacon accord. The final stage has a usual...plastic feeling, subtle, but still there. Synthetic, soapy, abrasively loud floral spicy scent with a sharp citrus backbone. There's an interesting warm/cool juxtaposition going on in there somewhere, but it's simply too cloying and harsh for me to enjoy. High marks for sillage and longevity.